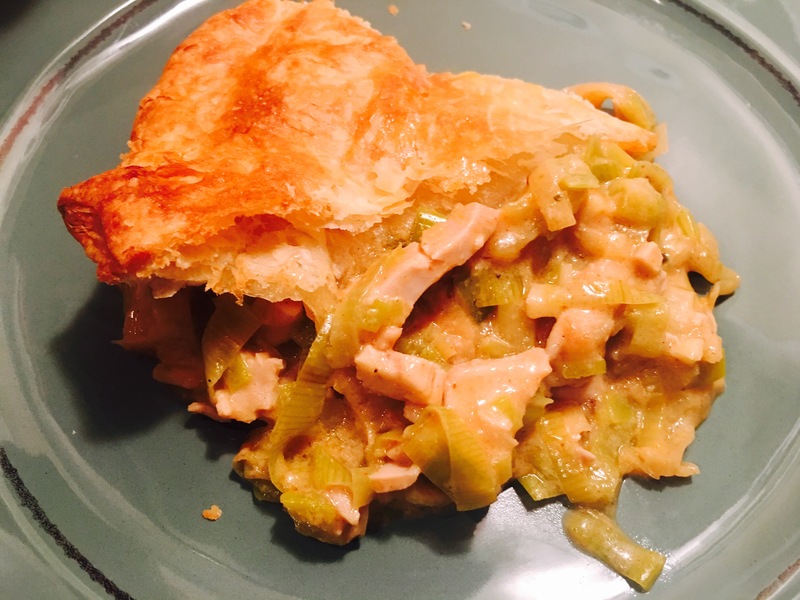 Chicken and Leek Pie – Hurried Home Chef! 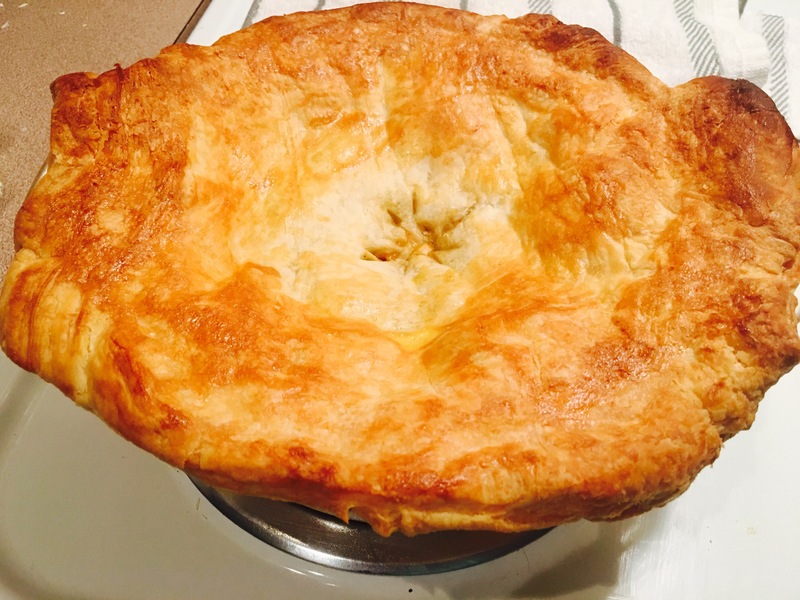 It’s not really a pie, since there is no crust on the bottom, but you get the idea. 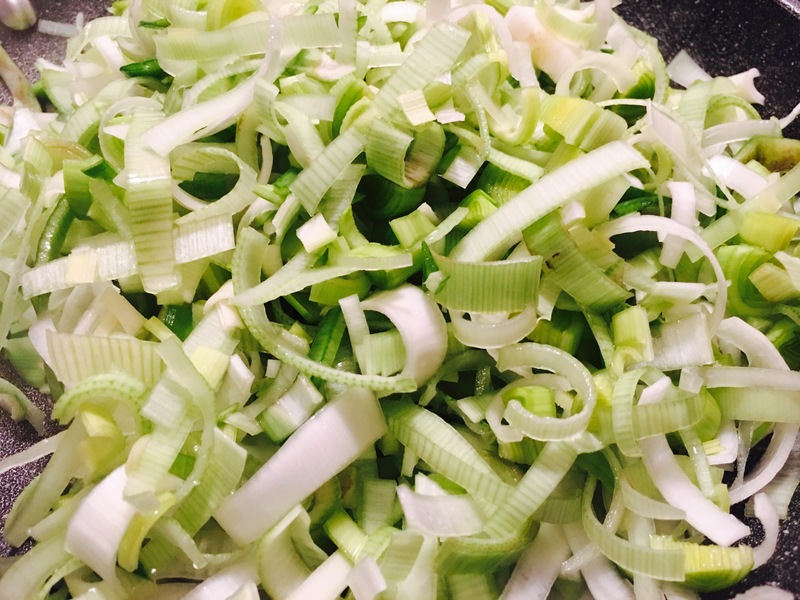 First I start by cleaning the leeks. Cut off the tops and the course green bottoms. I cut them in half lengthwise and soak in water. After a few minutes, dice and return to the water. Then strain. Preheat oven to 400. Remove one sheet of puff pastry from the freezer and allow it to come to room temp. Now I sauté these leeks with a little butter, cook them until soft, add salt, pepper, cayenne, and taste to make sure you like it. If it gets too dry, add a little water or chicken stock. 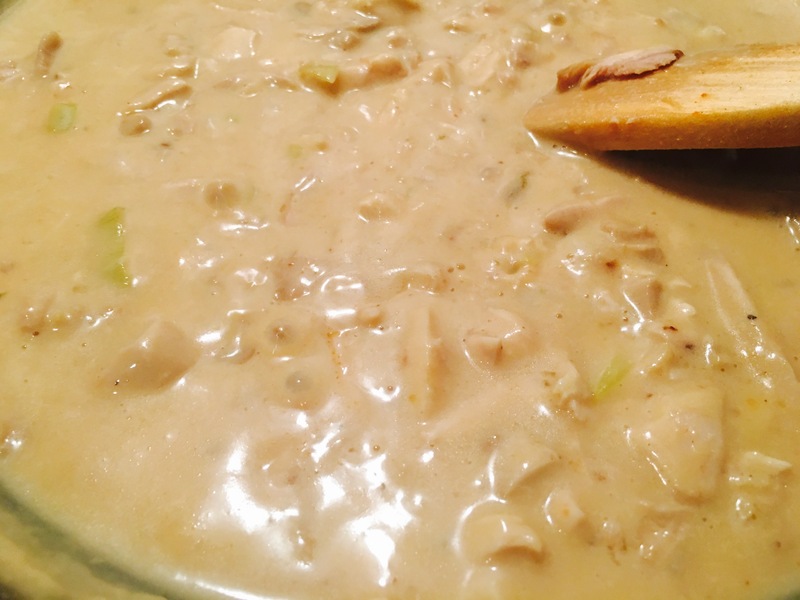 Remove from pan, make a rue–add 2 tbsp butter, 2 tbsp flour and cook for a bit then add about 2 cups of milk, half and half, stock OR cream depending on your caloric and fat tolerance. 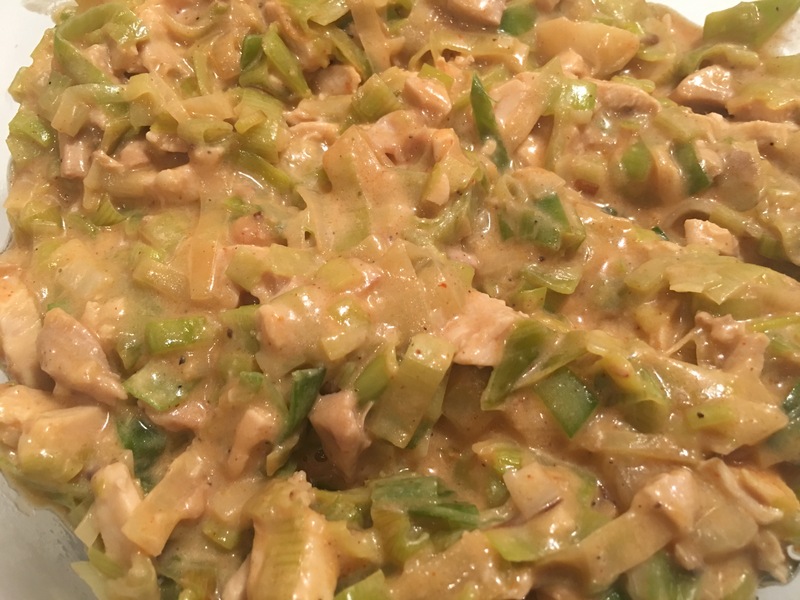 Let it thicken then add the chicken. Now you can put this in a baking dish and cover with the puff pastry. I had a round dish, so I had four triangles left over and used it for some baked apples. Poke a few holes in the top so the steam can escape, and brush an egg wash over the top (1 egg beaten with a few drops of water). Bake until crust is cooked and browned to your liking. Serve immediately. Now carefully slice. 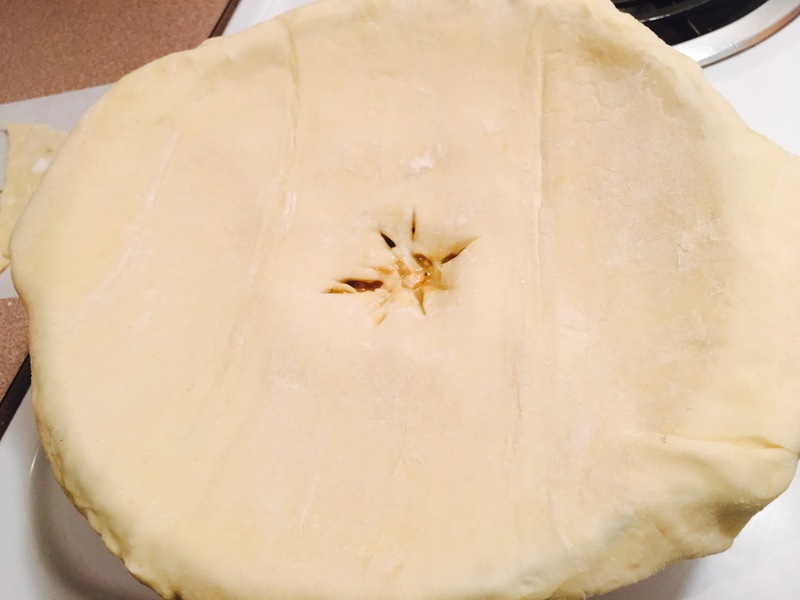 You will probably need to scoop the filling out with a spoon and lay the crust on top. It was very good. I will be making this again! Previous Post Baked chicken with hasselback potatoes and spaghetti squash.